Frost Heaves & Pot Holes: A Ball Joints Worst Enemy ! Well most of us who live in the northeast are very familiar with the words “frost heaves” and “pot holes.” Many mechanics look at these bumpy road conditions as job security as frost heaves along with pot holes can wreak havoc on your vehicles suspension components. 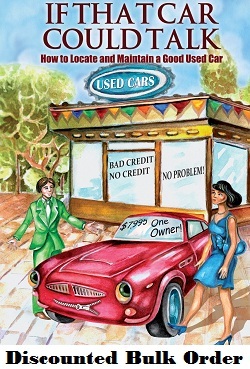 It is important that your vehicles strut assembly’s and or shock absorbers are in good shape. What does a shock absorber do? Well it does just that it “absorbs shock” or the impact it receives when your car hits a bump. 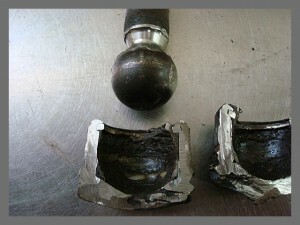 When a shock absorber or strut is not performing as it should, guess what takes the abuse? That’s right you, and your vehicles suspension components! 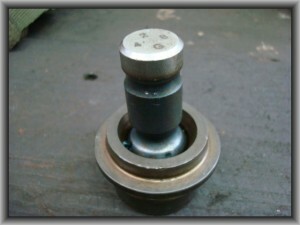 One of the first components to suffer are the ball joints. In the picture below you can see that I have separated the lower ball joint from the steering knuckle and I am preparing to remove it. 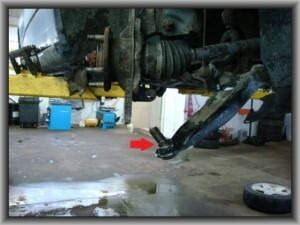 Red arrow indicates old ball joint to be removed from control arm. To better understand what a ball joint is I cut the old ball joint in half so you can better understand what it does and why they wear out, and also why it is important to replace them before they fail. Ball joint cut away in socket. 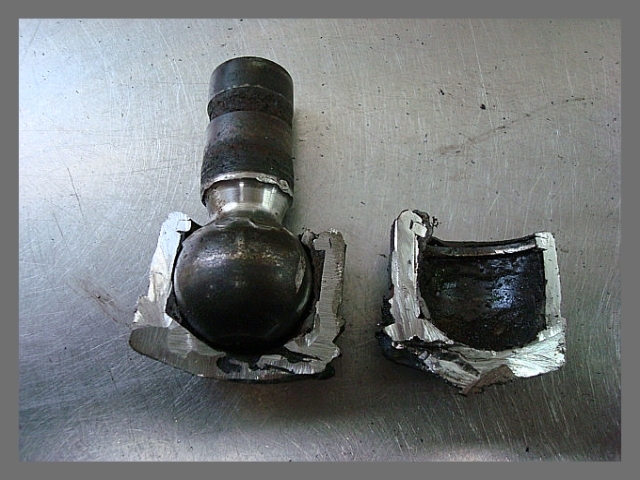 Ball joint removed from socket. New ball joint to be installed in lower control arm. « Jean K Asks: What Damage Can A Dirty Air Filter Do To Your Engine?